Many people think only websites that collect personal information are vulnerable to malware. In reality, any website can fall victim. Malware – short for malicious software – can cause numerous issues. Sometimes it generates links and advertisements on your website. However, in worst cases, cybercriminals use malware to take control of your website and install programs on the computers of your site visitors in an attempt to steal data, passwords, photos, credit card information and anything else that is of interest. You don’t want the malware to put any of your customers or site visitors at risk. Browsers and search engines will begin to identify your site as containing malware, which is a red flag to both existing and future customers. 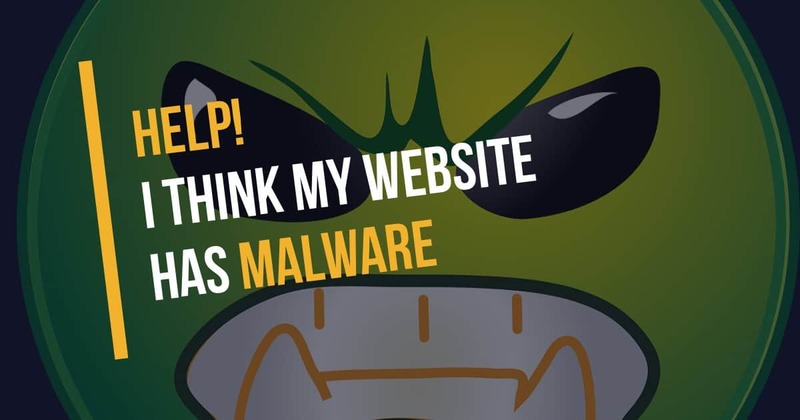 Most importantly, once Google discovers your website has malware, you have a limited time to clean the malware and send a proper appeal to Google before they remove your website from their search engine. Your website becomes very slow for no apparent reason. Your website suddenly crashes or freezes. Your website is being re-directed somewhere else. You notice ads or pop-ups that you have not enabled on your website. There is a sudden or rapid drop or increase in traffic. Browsers (i.e. Google Chrome, Safari, Firefox, etc.) send warning messages about your site containing malware. Google Search Console sends you a message that your website has been hacked. If you’ve experienced these or any other anomalies, your website may have been hacked and infected with malware. Taking immediate action is key to successfully resolving malware on your website. If you think you’ve been hacked, give us a call right away and we will conduct a complimentary evaluation and malware scan on your website. If your company’s website is built in Adobe Business Catalyst, you are probably in the process of deciding what to do now that Adobe has officially issued an “End of Life” announcement. First, don’t panic. Second, know that you do have options! Although none of our current clients are affected by this announcement, we understand the difficulties this has caused for thousands of companies. 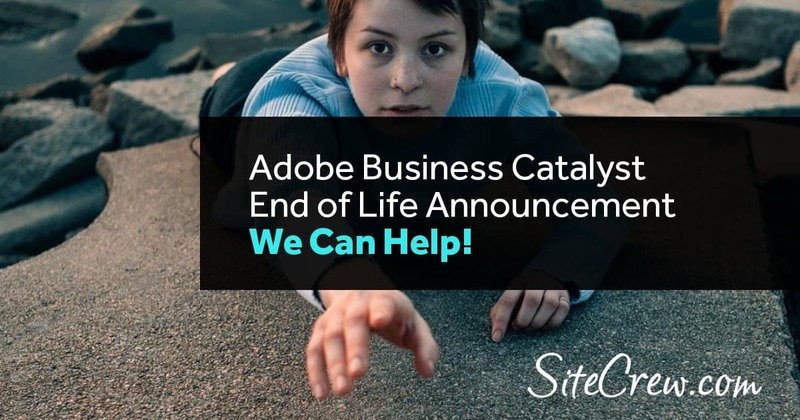 If you are one of the companies now scrambling as a result of the Adobe Business Catalyst End of Life announcement, we are here to help. The Site Crew will offer companies with a website built on Adobe Business Catalyst a discounted rate on migrating their website to a new platform. We will also offer our special client rate for ongoing website support and search engine optimization services for companies we migrate to a new platform. We advise acting sooner than later, as Adobe has indicated that no new features will be developed for Business Catalyst. They have also noted that while technical support will still be available, priority will be given to platform migration inquiries. Additionally, if you are going to continue to invest in your online presence, it is advisable to do so on a platform that will not be discontinued. As of now, Adobe Business Catalyst customers have until March 26, 2021 to export their data. Adobe has indicated that data will not be available for download beyond the end of service date. If you would like to get started on migrating your Adobe Business Catalyst website to a new platform, call or e-mail us today. There is much more that goes into developing a website than most people realize. If you have the knowledge required to build a website yourself then you may want to give it a shot. However, time is money and it does take significant time to properly develop an effective website that ranks well on search engines and helps your business grow. Website development involves a process of checks and balances. A website that violates search engine best practices can actually hurt your business more than help. Once Google and/or other search engines index a page of your site it counts either “for” or “against” your search engine rankings. If search engines index pages that do not fall within best practices, you are compromising your overall rankings. We design your site with the UX in mind. The UX is important when it comes conversions on your website. It also plays a role in SEO. Think of your website as your online storefront. Would you patronize a brick and mortar store that is cluttered and disorganized or choose one that is neat, tidy and makes it easy to find what you need? Most of us would choose the latter. The same philosophy rings true with websites. If your site is cluttered, difficult to navigate and not appealing to the eye, then people are likely to go elsewhere. You have 3-5 seconds to capture the attention of the user. If your UX is poor, then there is a greater likelihood they will navigate off of your site. Search engines also consider the UX when it comes to rankings. A poor UX does not bode well for search engine rankings. Google recently announced the implementation of mobile first indexing. This means that Google will now consider the mobile version of a website first when it comes to search engine rankings. So, if your website does not function or display well on mobile, there is now an increased likelihood of it not ranking well on Google. There is an art to designing a website to display well on both desktop and mobile. We have been developing websites with both desktop and mobile users in mind for years. If you want your website to show up in searches, then your pages need to be optimized for search engines. Our team of experts writes and optimizes each page of your website to ensure the content is both appealing to the user; and includes the proper elements, formatting and SEO metadata to rank on search engines. Poor quality websites and websites that do not function properly not only adversely affect the UX, but they also tend to not rank well on search engines. Users won’t come back and visit a site that is of poor quality and search engines will penalize sites that do not function properly. We take time to ensure each site is built to the highest industry standards! These days, your online presence is everything. Ensuring your website is developed properly from the beginning is important now more than ever. We often have business owners who either built their websites themselves or hired an unqualified website company come to us in crisis because their website is not functioning or ranking well on search engines. Investing in a professional and experienced website developer can save you a lot of time, money and headaches in the long run. Need a new website or assistance with an existing site? We’re here to help! https://thesitecrew.com/wp-content/uploads/2018/08/Professional-Website-Developer.jpg 630 1200 admin /wp-content/uploads/2015/09/logo-large-e1443277888385.png admin2018-08-31 11:55:442018-08-31 18:28:58Should I Build My Website Myself or Hire a Professional? TheSiteCrew.com, a full service web design and search marketing company serving clients nationwide, is proud to announce the launch of a new website for Walker Accounting & Tax in Walterboro, SC. 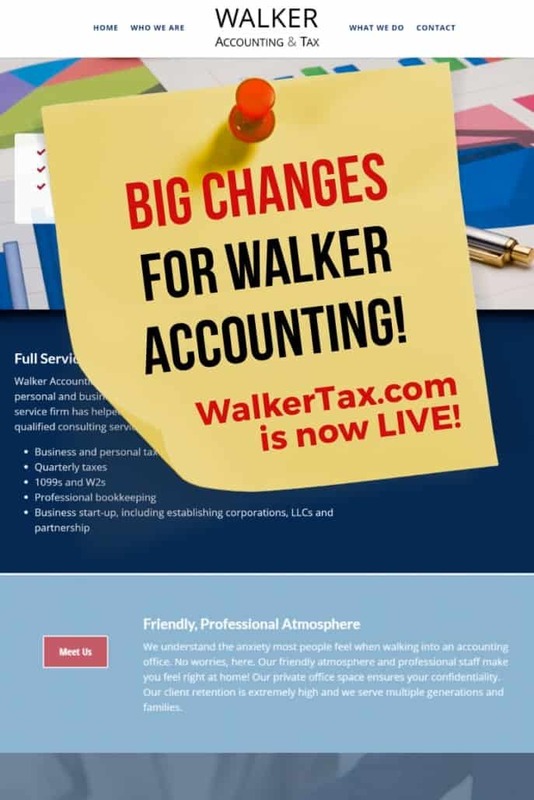 The new website can be found at https://walkertax.com. For optimal security, this website utilizes the secure HTTPS protocol. Hyper Text Transfer Protocol Secure (HTTPS) is the secure version of HTTP, the protocol over which data is sent between the visitor’s web browser and the website that the visitor is connected to. The ‘S' at the end of HTTPS stands for ‘Secure'. Communication between the visitor’s web browser and the website is encrypted. 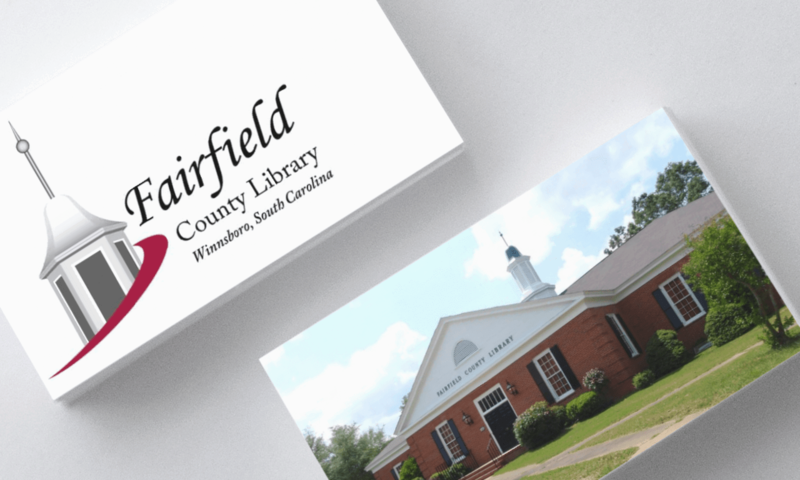 We were proud to have had the opportunity to work with the Fairfield County, South Carolina library system to create their new logo/brandmark and website. They came to us with a unique idea that we were excited to bring to life! The first rule of design is that all design must have a purpose. The second rule is to listen to your client. During our initial discussion with the client, the most important concepts in this case were history and legacy. The main branch of the Fairfield County library is located in a building which exemplified both history and legacy. Developing a concept which encompassed the history of the building and the colonial legacy of the region – along with an element of modern design – was key to creating a memorable brandmark for such an important landmark. We utilized the building cupola as the key element to tie the brandmark to the rich history and legacy of the library while maintaining a bond with the colonial heritage of the region. A modern upward moving swoosh carries the eye to the name and finishes the concept with a forward look and feel. The deep red color coupled with the black and white cupola reinforces the historic to modern feeling necessary to appeal to a wide age demographic. 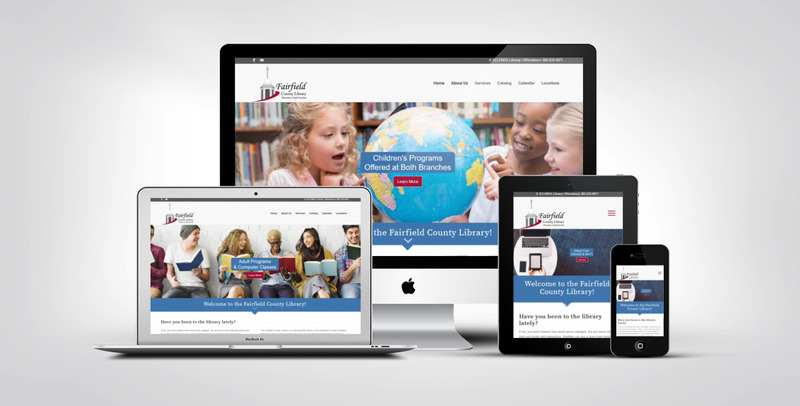 Special thank you to the good folks at the Fairfield County Library System for choosing us to work with them on this challenging and enjoyable project! The new website has a clean uncluttered design, improved functionality and enhanced rich content focused on the Berkeley Chamber. “We are excited about our new website launch and the robust information it provides for members and visitors to our site. We believe that this new site will allow our members to have a very informative experience as we continue to grow our Chamber and address their needs” stated Elaine Morgan, CEO of the Berkeley Chamber. In keeping up with the latest in internet technology, the website is responsive for viewing on all of today’s devices, including popular tablets and smartphones. The new site has been moved from its HTTP protocol to the far more secure HTTPS protocol; which encrypts data being exchanged between a website and the website visitor, ensuring critical data is not intercepted while in transit. The Berkeley Chamber of Commerce is the voice of business in the greater Berkeley County area. The Chamber seeks to accomplish this vision by advocating for initiatives that enable businesses to grow, thrive and remain relevant and forward-thinking in an ever-changing world. The chamber exists to create a positive impact on our community. The Berkeley Chamber strives to be the unifying force that brings together and leads those who work to improve the quality of life in the Berkeley County region through business growth. The new .red domain name is optimized for any creative endeavor associated with the color red. The .red domain name offers endless opportunites for use in such industries as fashion, photography, art or interior design, just to name a few. Add a hint of flair to your personal or business project with the .red domain name today! These domain names can have up to 63 characters, with a minimum of one character, and can contain letters (a to z), numbers (0 to 9), and hyphens (except as the first or last characters of the domain name). You cannot register domain names with special characters such as & and #. IDNs (Internationalized Domain Names) will not be supported at this time. …….it's a security feature of your iPhone – not a problem with your website. You're just running too many tests. For any phone number you click, you get the option of call or cancel. If you hit cancel 3 times then Safari assumes that the website is creating unwanted call requests, and starts creating the message “this website has been blocked from automatically starting a call”. If you hit the Allow button it will reset the block flag and give you the “Call | Cancel” option again. If you're testing out the tap to call function of your new website – or any other website – and you get the error message, “this website has been blocked from automatically starting a call”, don't worry, it's….. I'm embarrassed to admit that I spent about an hour on this problem today so I thought I'd share the solution just in case someone else finds themselves in a similar situation. THE PAYPAL CUSTOM PAYMENT PAGES FUNCTION NO LONGER WORKS! STOP TRYING TO FIGURE OUT WHAT IS WRONG! The big question is why does Paypal still have this function described in their developers guide with full instructions???? As a work-around you can use image_url parameter to set your image logo (size 150×50) in the checkout page. It's actually easier than the deprecated page_style and page_style_name. Just use image_url=https://xxxxx.com. Of course, the xxxxx is going to be replaced with your real image url. And, of course, always use https. There, hope that helps someone. WordPress has been around since 2003 and is the most popular blogging software on the market. Over the last few years, WordPress has also become the content management software of choice for non-blogging websites. Here are the top 10 reasons why WordPress is so popular and why you might want to consider switching to a WordPress platform for your company's website. The code behind WordPress is very clean and simple, making it easy for search engines to read and index a site's content. In addition, each page, post, and image can have its own meta tag keywords, description, and title, and be optimized for specific keywords, allowing for very precise search engine optimization. You can also use tags to further enhance your search engine optimization efforts. Since WordPress was originally created as a blogging platform, blogging capabilities are built-in and are easy to integrate, if desired. Setting up RSS / email subscriptions to your blog, commenting capabilities, and automatically adding the most recent blog posts to other pages of the site (your home page, for example) are also very simple to set-up, and help to extend your company's reach and make your site more dynamic and interactive. Want to add an event calendar, video gallery, Twitter Feed, Facebook Fan Box, and more to your site? WP makes this possible with plugins, most of which are free or very reasonably priced. As an administrator of a WP site, you can set-up multiple users for the website and assign access levels and capabilities to each user. The Coastal Carolina Flea Market, one of the largest flea markets in the southeast, is celebrating their 35th anniversary this year. We are pleased to celebrate their anniversary with the launch of their new website. This new website, with its responsive design and clean modern look, better meets the needs of the rapidly growing number of consumers using smartphones, tablets, iPads, and other devices to go online. We are so excited to be working with Swamp Fox CPA, LLC, an accounting firm located in Summerville, South Carolina providing tax, accounting, and consulting services to individuals and small businesses. 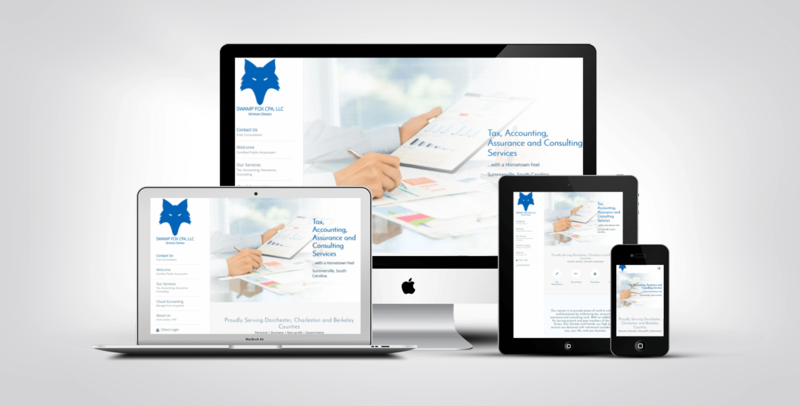 We will be developing a new responsive website to meet the needs of this successful accounting firm. Here's a look at the before website. Kiva Assisted Living is not your typical senior living facility. Their home-like setting paired with plentiful social activities and friendly, warm staff make Kiva the preferred choice for active assisted living. As a responsible business owner, you'll probably need convincing before paying to upgrade your web presence to one that includes responsive design. However, by opting in you'll soon see a return on investment that will make it worthwhile. In a nutshell, responsive design is just better than what has gone before and in order to keep up with the competition, you'll need it too. Responsive web design is crucial for the majority of businesses because it allows your users to achieve their goals quickly and smoothly. The important elements of your website can be pulled up on a smart phone and appear as a fully functional version of the original, complete with all the utility you'd offer to customers on a laptop or desktop computer. If you fail to provide a mobile-friendly experience like this for your visitors they won't hang around, they'll simply click away and complete the action or purchase on a rival site. Your page may be completely relevant to their search, but if visitors cannot access the content easily across a number of devices, your site may receive a less than positive review and be placed lower in the search results. If your company is reduced to a second or third page entry you'll lose a considerable amount of traffic, as people naturally select links from the first page. Branding is one of the ways in which we build a relationship of trust with a customer and keep them coming back for more of the same. This is pertinent to responsive design for two reasons, firstly, people do not feel confident in a site they cannot easily navigate and second, in order to create a uniform brand you'll need responsive design to produce a consistent web appearance; however your clients reach you. In today's market there are only a handful of reasons why a company may choose to stick with static design on their web page. Those who do not rely in any significant way on web traffic to drive sales, or those who have few competitors, or those who have already looked into responsive design and found it was not right for them. 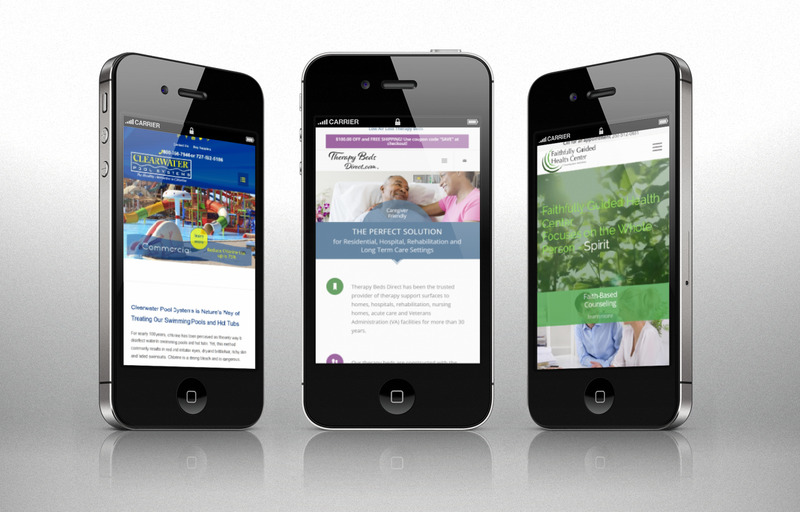 For everyone else, if you want to stay ahead of the curve, responsive design is the only way forward for your website. Responsive web designers believe that their clients' web pages should be accessible to every visitor, giving them an optimal experience, regardless of the device they using. This kind of intelligent response to a web user's actions keeps your company relevant in an ever changing online market place; it boosts your e-commerce figures and makes visiting your site an enjoyable experience. If you have ever tried to access a website and discovered that it was almost impossible to navigate around without shrinking and enlarging the text or buttons, you'll understand why responsive design is considered good practice for the majority of website owners. Until quite recently, mobile web design was considered far more relevant to modern consumers than it's responsive counterpart, this approach sees designers using smart phones as a starting point and upgrading the technology progressively, through to notepads, desktop computers and beyond. This method meant that companies needed two websites, one for their mobile pages and one for PC users. Customers are driven away by high wait times and pages that take too long to appear; even way back in 2009, 47% of people expected a load time of just two seconds on a webpage. In a study carried out by cloud service providers, Akamai, it was also found that 40% of web users clicked away if they had not gained access to a page within 3 seconds. That is a pretty slim window of opportunity, and it's fair to assume that people's expectations have increased since this study was compiled. If your mobile pages leave an unpleasant taste in the mouth of your visitors, they are far less likely to view your entire organisation favourably, and they'll tell their friends. Industry experts at the Search Engine Journal discovered that 57% of people would never recommend a company that had poorly designed pages, strengthening the case for a consistent web strategy that performs the way your customers want it to – wherever they happen to be. Duncan Maund is the CEO of Mediatopia a professional web design and development company in Bristol, UK. Duncan helps small and medium sized businesses with customised websites and online marketing. UK Businesses: If you need help with Responsive web design get in contact with Mediatopia who will happily help and answer any questions you have regarding this topic. It is said that a photo is worth a thousand words. Check out the professional photos of work samples and manufacturing facility of JW Machine featured on the newly designed website! The website was designed and built to meet the latest market demands of tech-savvy multiple device users today. It is user friendly and easy to navigate so you can find the information you are looking for. Highlighted are features displaying work capabilities that you might find helpful the next time you are searching for a precision cnc machining contract manufacturer. The “Quote” link offers convenience to quickly make contact with your specific requirements so they can quickly respond with a quote to get your project started. Don’t have time to see all the pages? Use their handy search tool bar conveniently located at the top of the pages or click on the link to their Crushpath Pitch or electronic flyer at the bottom of the pages. Their capabilities are sure to meet the demands of the complex work and quality in the market your serve. Connecting with JW Machine on Social Media is also simple. Just click on the links to Facebook, Twitter, LinkedIn and Google+ at the top of the HOME page. And, don’t forget to “share” the website with your friends. Navigate through the entire site to learn even more. Visit the “Quality” link to see the quality assurance statement as well as learn more about the Certified Calibrated Precision Inspection department. As always, if you have any suggestions or comments, feel free to send them a message via the “contact us” form. They look forward to and value your feedback! The slower your site, the faster your visitors may leave. The infographic below highlights important stats and figures that show just how vital your website speed is and the type of impact it can have on your business. In today’s highly technical world, everything is online. There is nothing you cannot buy, sell, trade, research, find pictures of, or play if you have a computer and Internet connection. These days, there is a web site out there for anything you could name. This means that someone probably has a web site a lot like yours. As competition for page views grows more intense, web design more technical, and the Internet more popular, good web design becomes more important than ever before. If you have a web site, then you want visitors to view that site. Good web design is the only way to make that happen. The average Internet cruiser is more jaded these days and harder to impress. Good web design is the only way to get repeat visitors. 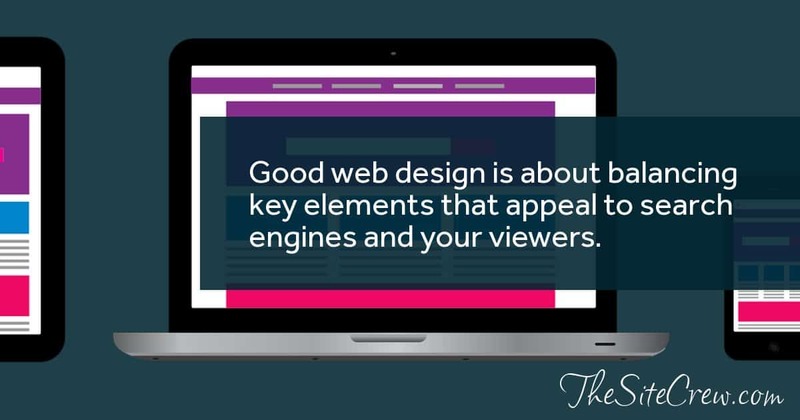 There are several basic key elements to good web design that we use. Content. Internet search engines have grown very clever about searching content on web sites these days. Good web design is centered on your web site’s content. What keywords will people search to find your site? Once you know what your keywords are, you have to have plenty of content on your site that features those keywords. We will check your keyword content. Content is what search engines look at first, so it is here that you must make your impression. Links. Search engines, and your visitors, love links. You want links that connect to other pages of your site, internal links, as well as external links that connect to pages outside your domain. The more links you have, the better, so use them liberally throughout your site. Links also improve the navigation of your site, which is incredibly important to good web design. Graphics. Good colors, pictures, and interesting, appropriate fonts will make or break your web site. Graphics are going get noticed by your visitors, so you want to make an impression with the graphics on your site. Good web design is about a pleasing flow of colors, pictures, graphics, and text. We won't over clutter your pages, but make them exciting and interesting to look at. In order to provide you with the best service, we should fully understand your website needs. Here's a questionnaire you should review and discuss with us.